The use of data and its analyses are becoming ubiquitous practices. As a result, there has been a dramatic surge in the use of business intelligence and analytics. These developments have inevitably led to endless opportunities for marketers to leverage themselves and gain a competitive advantage by untangling big data. Relevant data could help businesses to better serve customers as they would better know what they need, want and desire. This knowledge will lead to customer satisfaction and long lasting relationships. Businesses are increasingly collecting and analysing data from many sources for many purposes. Much of the value of data is derived from secondary uses that were not intended in the first place. Very often datasets can possess intrinsic, hidden, not-yet-unearthed value. According to a research from IBM and the Saïd Business School at the University of Oxford; nearly nine in 10 companies were using transactional data, and three-quarters were collecting log data in 2012. This study suggested that business practitioners also gathered data from events, emails and social data (eMarketer, 2012). This data is being collected and stored in massive amounts by search engines including Google, Bing and Yahoo as well as by e-commerce conglomerates such as eBay and Amazon. For instance, Security First boosted its productivity and customer satisfaction by using content analytics to bridge social media and the claims process. Similarly, Banco Bilbao Vizcaya Argentaria has improved its online reputation with analytics that quickly responded to online feedback (IBM, 2015). “Facebook’s interest/social graph: The world’s largest online community collects more data via its API than any other social network. Facebook’s “like” button is pressed 2.7 billion times every day across the web, revealing what people care about. Google+’s relevance graph: The number of “+1s” and other Google+ data are now a top factor in determining how a Web page ranks in Google search results. Twitter’s news graph: At its peak late last year the social network was processing 143,199 tweets per second globally. This firehose of tweets provide a real-time window into the news and information that people care about. Fifty-two percent of Twitter users in the U.S. consume news on the site (more than the percent who do so on Facebook), according to Pew. Pinterest’s commerce graph: More than 17% of all pinboards are categorized under “Home,” while roughly 12% fall under style or fashion, these are windows into people’s tastes and fashion trends. YouTube’s entertainment graph: What music, shows, and celebrities do we like? YouTube reaches more U.S. adults aged 18 to 34 than any single cable network, according to Nielsen. YouTube knows what they like to watch. Yelp’s and Foursquare’s location graphs: These apps know where we’ve been and where we’ll go. Foursquare has over 45 million users and 5 billion location check-ins”. Big data is funda¬mentally shifting how marketers collect, analyse and utilise data to reach out to customers. Business intelligence and analytics are helping companies to get new in¬sights into how consumers behave. It is envisaged that the IT architecture will shortly develop into an information eco-system: a network of internal and external services where information is shared among users. Big data can support business in their decision making. It could be used to communicate meaningful results and to generate insights for an effective organisational performance. New marketing decision-making ought to harness big data for increased targeting and re-targeting of individu¬als and online communities. On-demand, direct marketing through digital platforms has already become more personalised than ever. 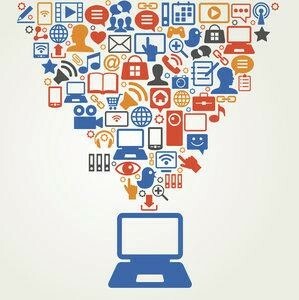 The chal¬lenge for marketers is to recognise the value of big data as a tool that drives consumer in-sights. Every customer contact with a brand is a moment of truth, in real-¬time. Businesses who are not responding with seamless externally-facing solutions will inevitably lose their customers to rivals. This contribution posits that a strategic ap¬proach to data management could drive consumer preferences. An evolving analytics ecosystem that is also integrated with web2.0 instruments could lead to better customer service and consumer engagement. Big Data 101: What Is It And How Are Organizations Using It? Do You Have What It Takes to Be an Appreneur?